Fans across the world are commemorating Nineteen Years Later, this very day, September 1, 2017, when Harry, Ron and Hermione watched their children board the Hogwarts Express to begin their own wizarding journeys. 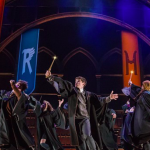 As covered by Leaky earlier today we have seen celebrations at King’s Cross Station, this year’s Leakycon happening this weekend in Dublin and a special Harry Potter and the Cursed Child celebration and meet-up. To mark this historic day in the Harry Potter saga, Pottermore has crafted a magnificent 360-degree virtual tour of the exterior of Hogwarts and the surrounding grounds including the Quidditch pitch, Hagrid’s hut and the Forbidden Forest. As users explore this new aspect of the site, they will encounter 100 different “hot spots” that each share information about that memorable location. Some of the spots we’ve found include the entrance to the castle, the Great Hall, the vaulted opening where Howlers are delivered and even the very escape route Fred and George took on broomstick under a shower of fireworks during Order of the Phoenix. 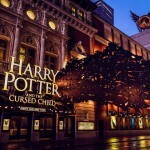 What better way to commemorate Nineteen Years Later and Going Back to Hogwarts on September 1 than taking your own personal tour of our favorite school of witchcraft and wizardry? 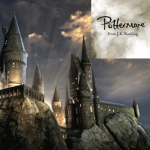 Log on to Pottermore today and find all 100 hot spots. Let us know about your magical discoveries and raise your wands to Hogwarts, Pottermore and of course the mastermind behind it all, J.K. Rowling!